Sometimes the difference between thriving and foundering can come down to having a nice place to call home. This is true even at the cellular level, so San Antonio, TX-based StemBioSys has built what’s essentially a home for stem cells—a three-dimensional matrix made of natural materials in which cells can replicate more rapidly than in traditional plastic flasks, the company says. That may be meaningful for research labs looking to produce large quantities of cells, such as cancer cells that could be used in high-throughput testing of potential drugs, says StemBioSys CEO Bob Hutchens. In its own research, the company has focused primarily on growing adult bone marrow mesenchymal stem cells. It is collaborating with 14 partners, including the University of Texas at San Antonio and the Langer/Anderson Laboratories at MIT, that are researching the therapeutic applications of other cells. Those include hematopoietic (blood) stem cells, adipose stem cells (from fat tissue), and the aforementioned cancer cells, among others. 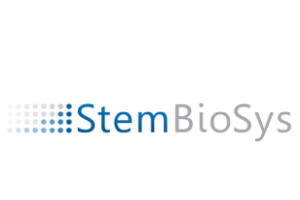 Right now, StemBioSys is sharing the stem cell culture technology with its strategic partners without charge. It hopes to begin selling the product to the commercial market in the coming months, Hutchens says. To do so, and to invest in a manufacturing facility, StemBioSys closed an $8 million Series A round at the start of April that it announced today. The preferred equity round was led by San Antonio-based Targeted Technology Fund, which contributed $2.25 million; 50 angel investors also participated in the deal. StemBioSys may seek to raise a Series B round later this year or in early 2016, Hutchens says. The company also has some prominent names on its board of directors, including Catherine Burzik, the former CEO of Kinetic Concepts, and Robert S. Langer, the prolific MIT researcher and entrepreneur. In a nice piece of symmetry, StemBioSys uses stem cells to help build the matrix that’s ultimately used to grow other stem cells. The company starts by seeding a batch of stem cells into plastic lab dishes. As they grow, the cells lay down networks of proteins and other molecules to support themselves. After 21 days, StemBioSys extracts the cells, leaving this matrix intact and ready to house a new batch of cells. StemBioSys’ process to grow both the cells and the matrix is currently labor intensive, Hutchens says. The company is attempting to develop methods of automating it, though it hasn’t yet. Cells grown in StemBioSys’s matrix can multiply while still remaining small and undifferentiated—both important qualities for stem cells, Hutchens says. The company is not the only one out to commercialize stem-cell-production technology, though. Madison, WI-based Cellular Dynamics, for example, has already built enough business in the field to attract a $307 million acquisition by Fujifilm. While many other companies may use procedures related to manufacturing stem cells, there are also other producers, including San Diego-based Stemedica and Cynata Therapeutics, an Australian-based company using technology developed at University of Wisconsin-Madison. StemBioSys’s technology was developed by Xiao-Dong Chen while he was at the University of Texas Health Science Center at San Antonio. He licensed the resulting patents from the university and founded StemBioSys in 2010 with Steven Davis, a clinical professor of dermatology at the university and a founder of BioMed SA, the bioscience development corporation for San Antonio.